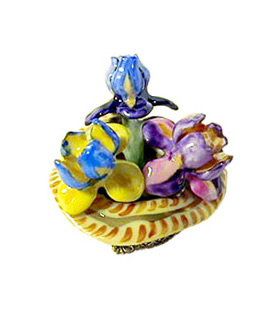 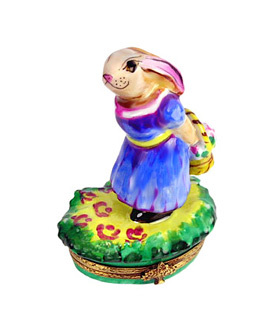 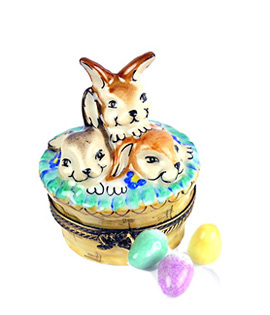 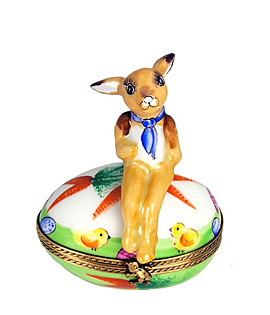 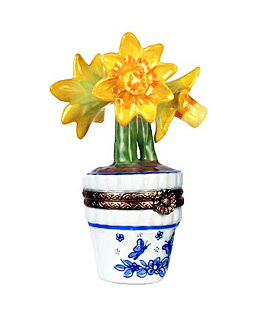 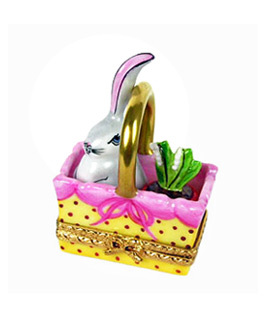 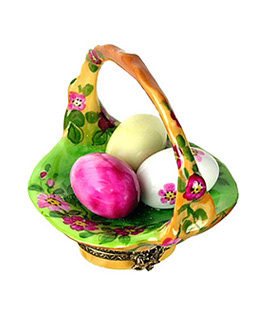 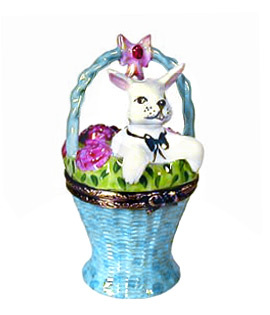 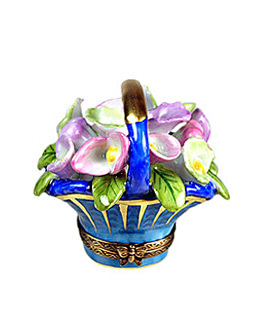 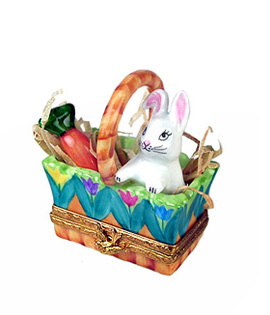 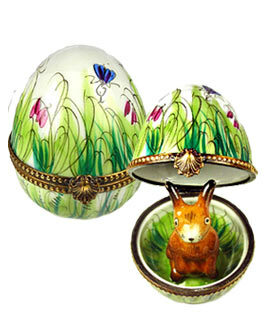 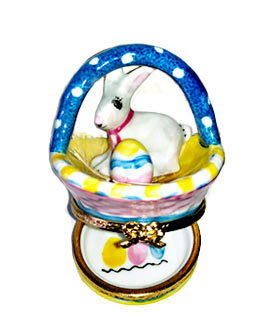 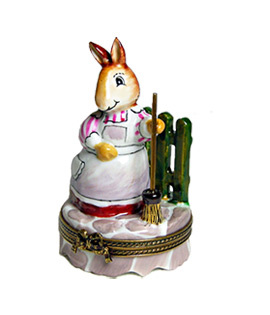 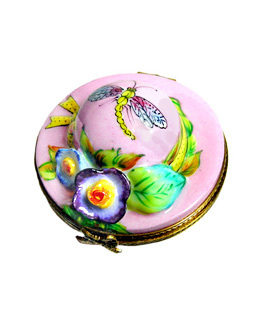 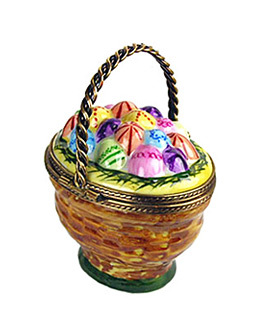 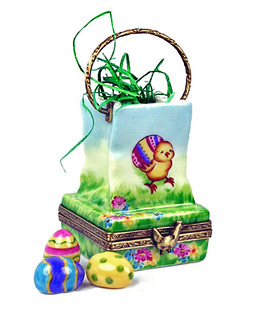 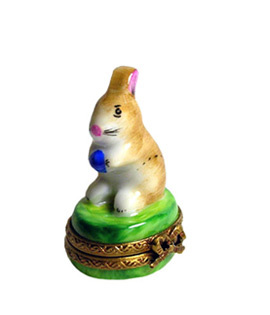 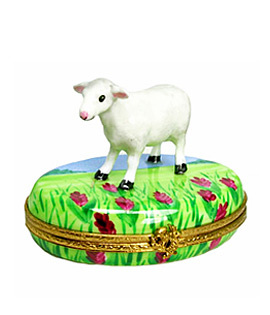 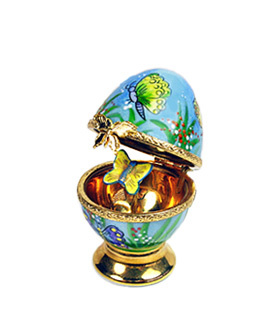 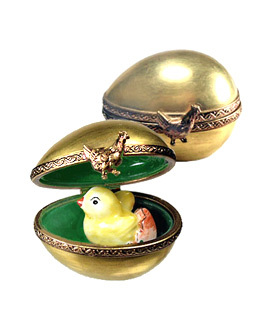 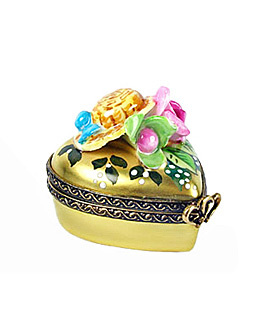 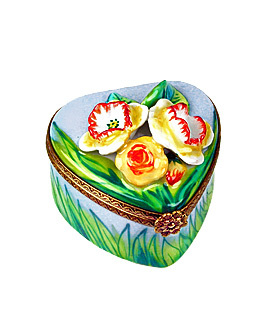 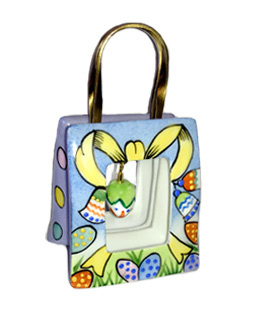 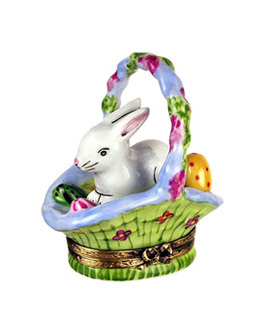 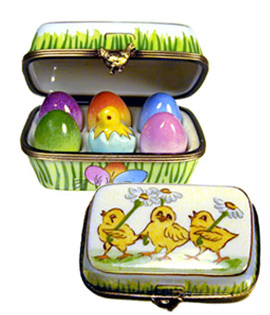 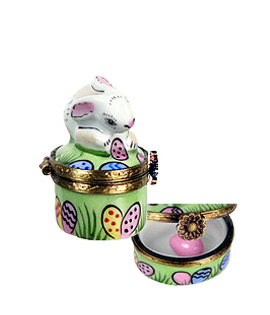 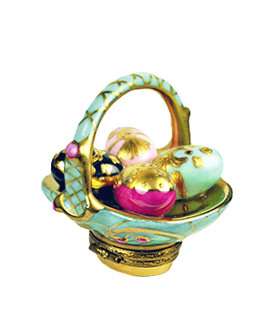 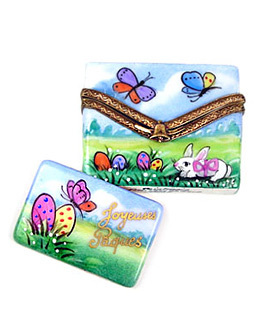 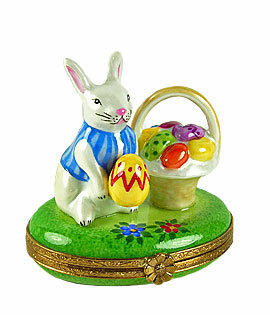 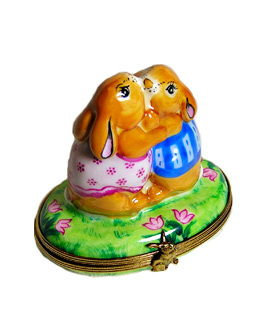 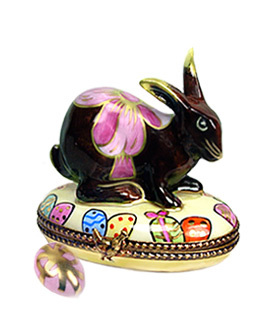 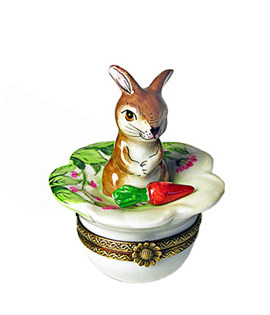 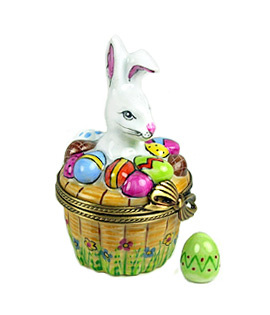 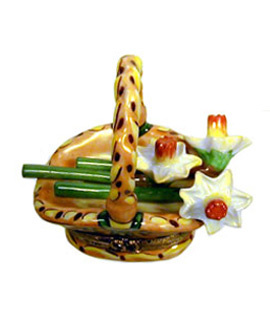 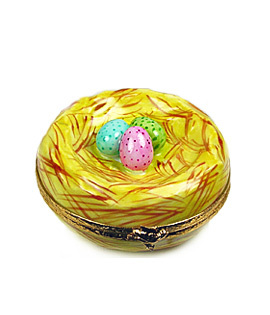 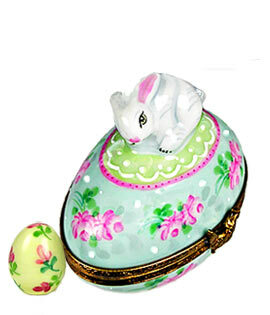 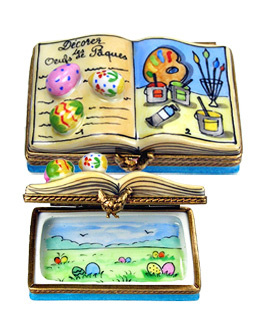 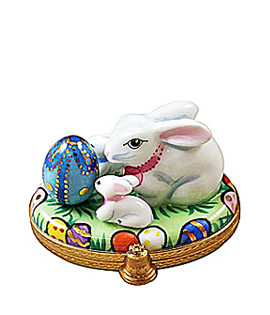 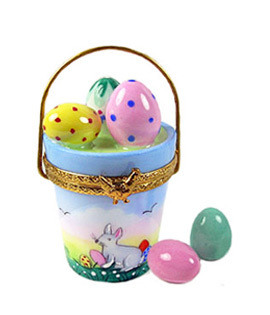 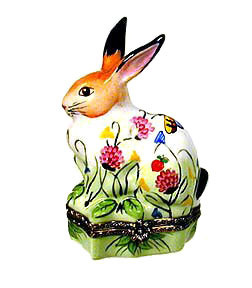 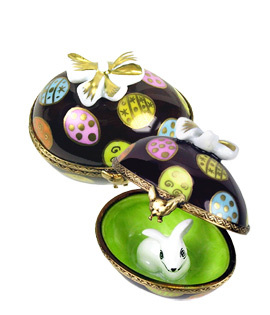 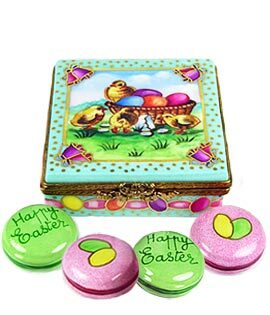 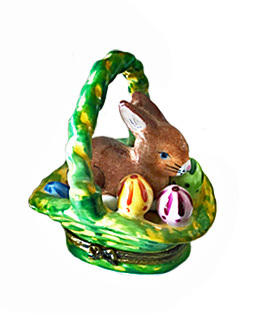 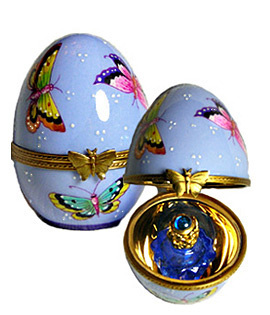 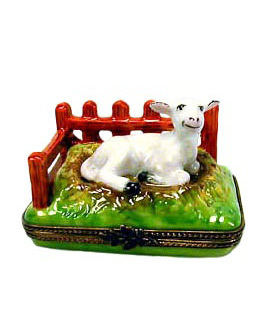 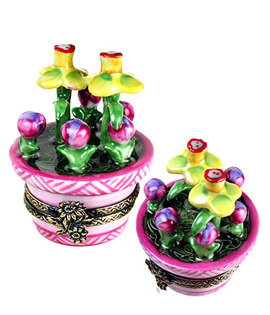 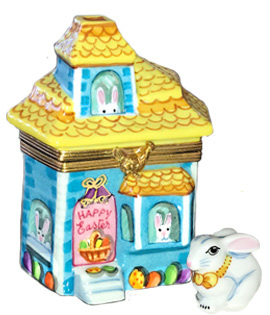 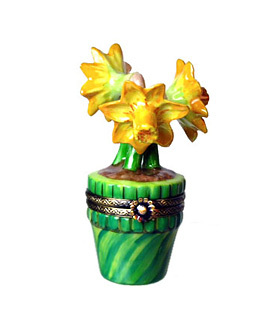 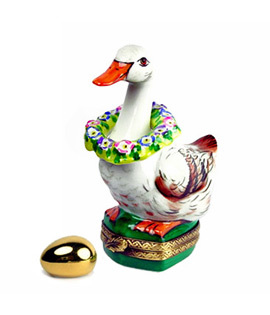 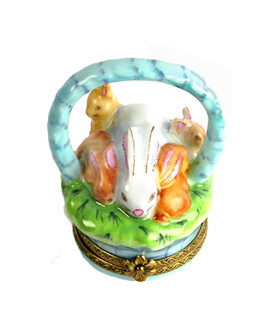 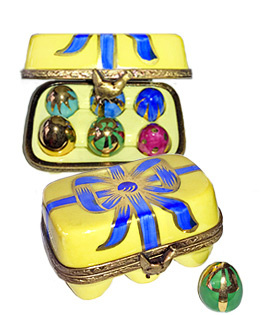 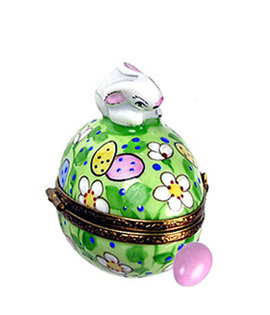 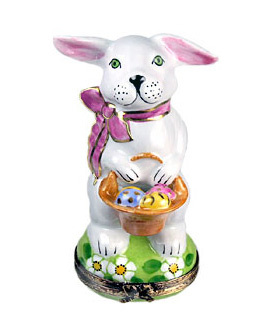 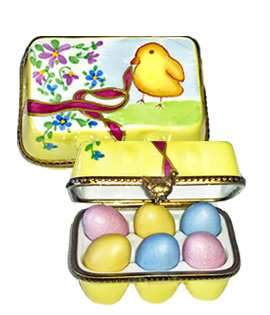 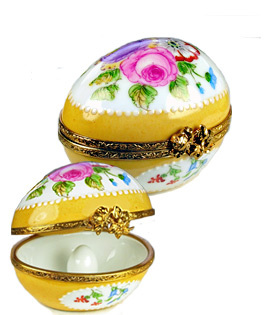 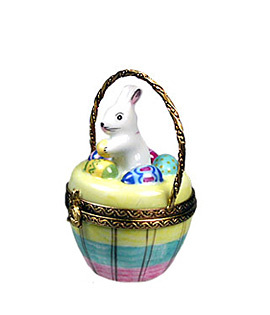 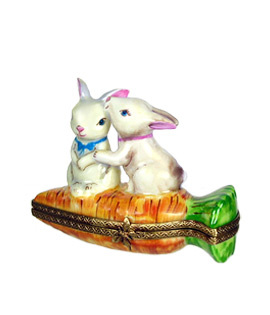 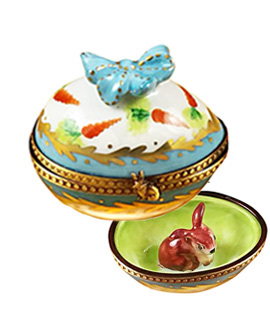 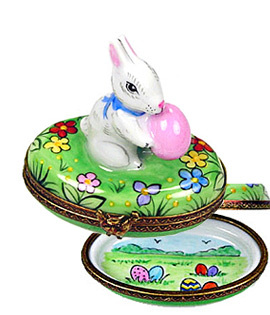 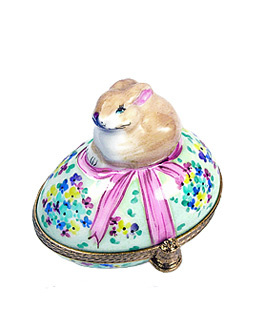 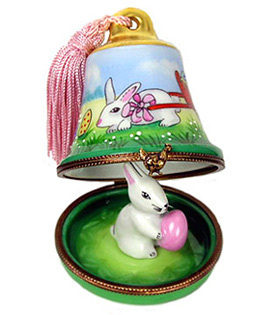 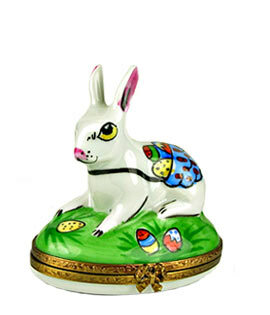 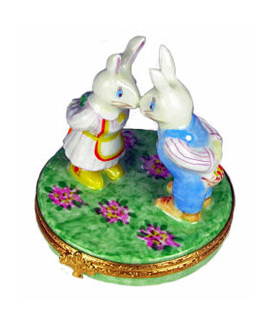 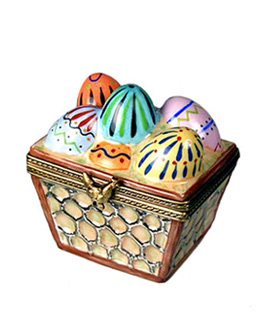 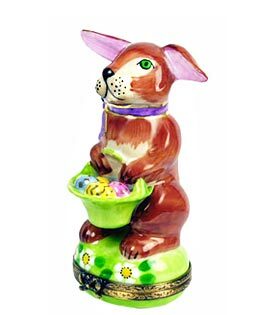 Look at the delightful Limoges boxes the Easter Bunny left in our basket! 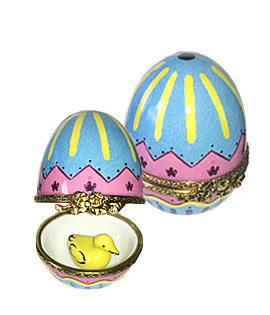 You'll want one for yours too! 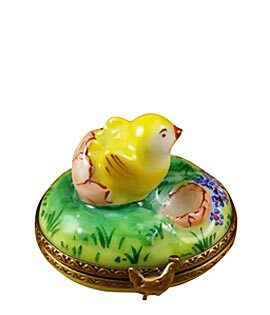 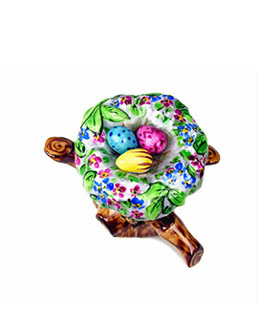 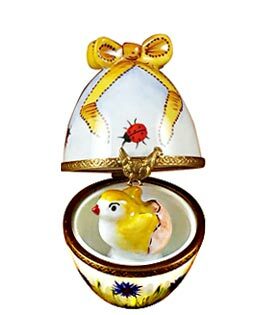 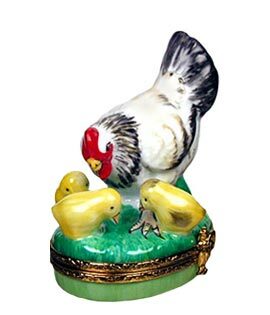 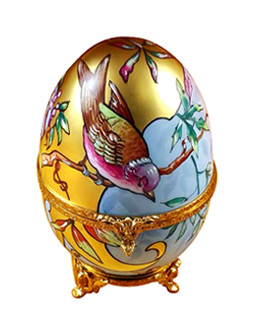 Bunnies, eggs, baskets, chicks and symbols of Spring, all beautifully hand painted, detailed and hinged in France on finest Limoges porcelain. 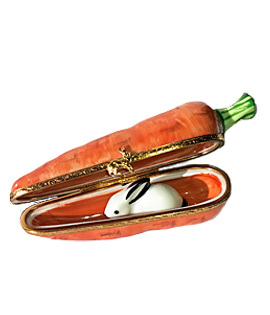 For more still more adorable rabbits not found on this page, hop on over to our Rabbits and Bunnies!